Or, get it for 60400 Kobo Super Points! 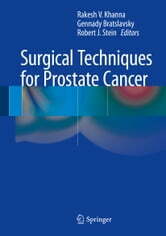 This volume provides a comprehensive review and detailed description of surgical techniques for prostate cancer surgery. All aspects are covered, including surgical anatomy and methods of transrectal ultrasound guided prostate biopsies, step-by-step approach techniques for radical prostatectomy, and the latest data on outcomes. Furthermore, limitations as well as tips and tricks are detailed in addition to management of common complications. Lastly, with the increasing use of ablative therapy and brachytherapy, the mechanism of action as well as the keys to obtaining optimal outcomes are illustrated. 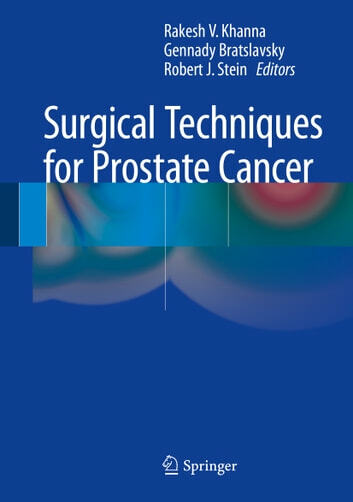 Surgical Techniques for Prostate Cancer is a concise and valuable resource to surgeons that documents the different approaches to prostate cancer surgery.